The Toyota Corolla Altis Aero 1.8 J is one of the greatest offerings from the Toyota franchise. The car has a sleek and regal look which makes it a true treat for the eyes. The limitless luxuries offered by the car help in establishing it as the “people’s choice”. The presence of features like 7 spoke alloy wheels, stylish door handles, printed antenna, trunk spoiler with LED and halogen headlamps help in giving the car a very whole and modern look. The car is available in 2 different colors - Silver Mica Metallic and Black Mica. The latter version imparts a truly tough appearance to the car while the former imparts a softer feel. The car comes equipped with a 2 ZR-FE 4 cylinder inline gasoline engine . The engine offers a displacement of 1798cc and a peak torque of 173 Nm at 4000 rpm. A peak power value of 140 Ps can be obtained at 6400 rpm. Driving experience is enhanced through the use of radial tubeless tyres, which are puncture resistant, and ventilated solid disc. The solid disc brakes help in efficient braking. Altis Aero sedan is equipped with a 55 litre fuel tank and provides a ground clearance of 175 mm. To begin with, the Toyota Corolla Altis Aero is equipped with an AC that eases out driving during summers. The car offers a tilt enabled steering which permits driver specific adjustments that increase driver comfort. Power windows and power steering enhance the ease. The power steering also makes it feasible for rookies to drive the car. Vanity mirrors make it possible for passengers to get a good view of the traffic. Some of the other comforts offered include Information Displays, glove box lamp and console box. The car is equipped with multiple features which are aimed at enhancing driver and passenger safety. The car is equipped with rear and front seat belts which are capable of protecting the driver and the passengers from injuries in case of collisions and jerks. The ABS prevents the locking of brakes in case of sudden braking. Efficient wipers make driving during the rains feasible. A power locking system ensures automatic locking of doors in order to avoid the hazards associated with unlocked doors. A rear view mirror permits the driver to get a good view of the traffic. The windshield glass is highly sturdy and enhances safety during collisions. 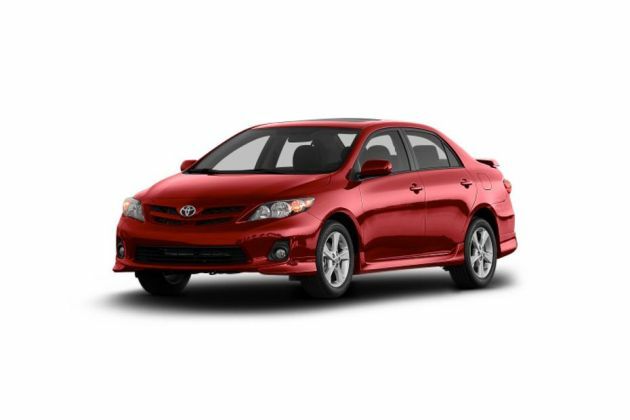 Overall, Toyota Corolla Altis Aero 1.8 J ensures a safe drive.